Junior Corey Ballentine keeps one thing in mind when it comes to both academics and athletics – being better than average. His hard work in the classroom and as a two-sport athlete has paid off. He receives athletic and academic scholarships, and he was honorable mention all-MIAA last year and academic all-MIAA three times. Ballentine is a defensive back on the football team and he competes in sprints on the track and field team. He’s studying general business but is taking more accounting and marketing classes – two things he enjoys. As he makes his way as a student and athlete, he knows that donors have his back with scholarship support. 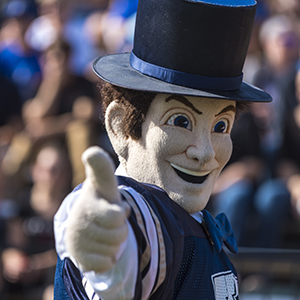 Whether athletic or academic scholarships, Ballentine appreciates what donors do to support student-athletes. This year, he was honored with an Advisors Excel/Innovation Design Group Scholarship. 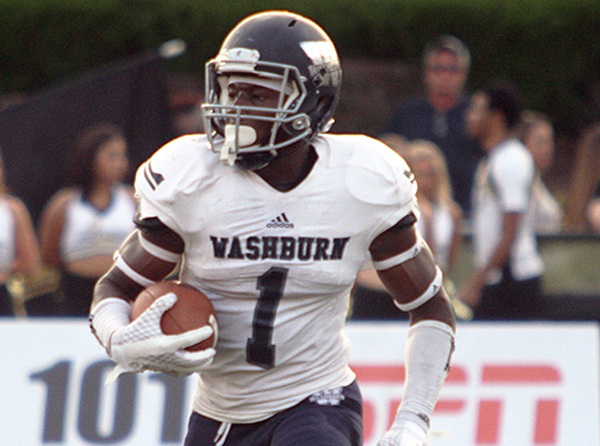 You can give student-athletes like Corey Ballentine similar opportunities by supporting the Ichabod Athletic Fund with a gift online. You can also contact Bruce Steinbrock by email or at 785.670.1334 to learn about creating an endowed scholarship or estate gift that will change student-athletes' lives for generations to come.